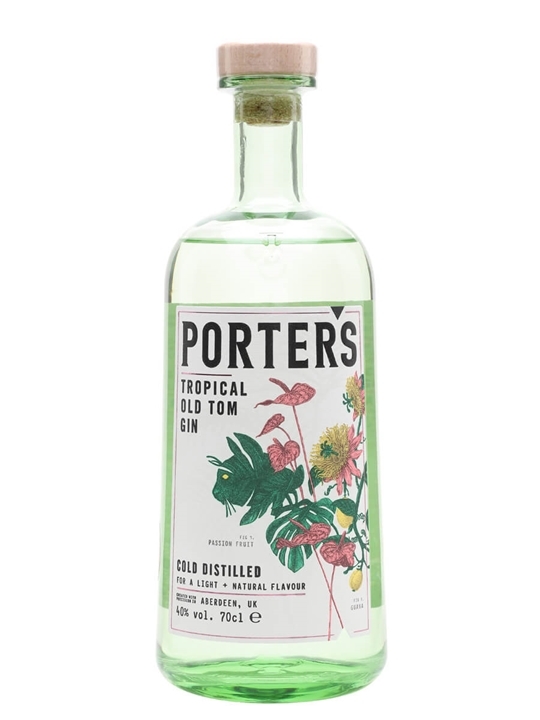 A taste of Porter’s Tropical Old Tom gin from The Perfect Measure. While Scotland isn’t known for its tropical fruits, this gin has botanicals of passion fruit, guava and white tea, as well as a traditional juniper undertone. A fruity and fresh gin, with plenty of playful tropical flavours. A great find, this is one of the best new gins out there! The juicy tropical notes really stand out when mixed. The balance is great and I would definitely recommend this to any gin lover looking to try something new! Absolutely fabulous. Mouthwatering, and great in a G&T or in a cocktail. Outstanding gin! Delicious and well balanced.